This is a screenshot from "Halt and Catch Fire" Season 3 Episode 7. So, 109.41.45.191 is a Vodafone Germany IP address; it wasn't in the early 80s, when this programme is set, and I'm not sure how to check what it would have been back then, if I'm honest. But that's a bad starting point; a TV programme of this size should really use an IP address reserved for documentation, or an IP address owned and managed by the production company. Secondly, the server responds with a different address (the final octet is .292 - IPv4 addresses are 4 bytes, each being 0-255, so this is not a possible IPv4 address. Thirdly, the FTP server appears to have the name nsfnode22.org as well as nsfnode22Ryan.org. 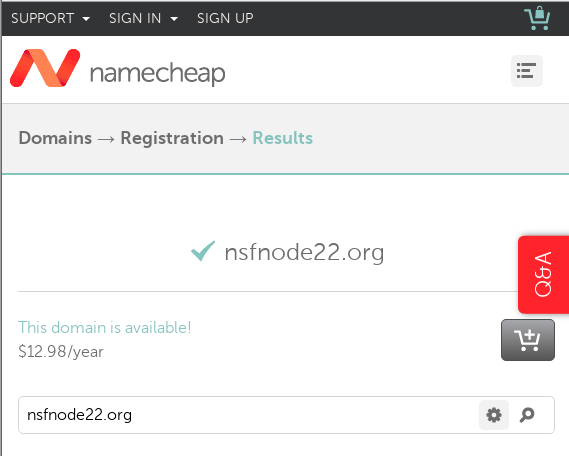 Fourth, and probably the worst, is that the nsfnode22Ryan.org domain is registered. 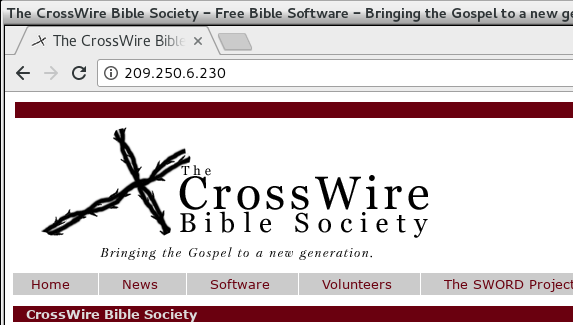 But it resolves to 209.250.6.230, which is https://www.crosswire.org/. I don't know who they are, but I'm sure they didn't ask to be involved in any of this. To my mind, there is no need for such sloppiness in today's world. These programmes have large budgets, and spending $10 to buy a domain they want to use is nothing in the scheme of things. The "Breaking Bad" series used http://www.savewalterwhite.com/ domain in its plot. They bought the domain, put the same website on it, and it is still active today. There is no reason not to do this. I am sure that people in the fashion industry will be able to point out clothing errors in this period programme, and that automotive experts will spot that some of the cars used were historically incorrect. And they should be done right, too. But this is an IT programme, and getting the IT wrong is just inexcusable, when it is so easy to do it right. Sure, there are bigger problems facing the planet today. But that doesn't mean that these things can't be done right, too. The character then removes his hard disk, drills holes in it, and sets it on fire. What does that mean? The FTP session syntax is invalid, so it isn't clear if he has uploaded that file somewhere, and then deleted his local copy (which would make sense), or if he has downloaded it and then instantly destroyed the disk.